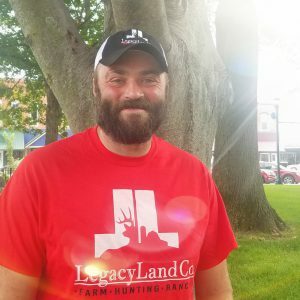 Born in the heart of all things outdoors, Pike County IL, Justin grew up surrounded by hunting, fishing, farming and logging. With a grandpa that logged almost 50 years out of Jerseyville,IL and another grandpa that spent his whole life working a family farm in Barry,IL he was given many opportunities to learn about the land, its value and what it had to offer. First licensed and bonded as a timber buyer 20 years ago, Justin became very proficient at logging and other forestry practices at a young age. In college he double majored in agriculture business and small business management at Illinois State. After college Justin held several management positions as well as owning several small businesses including property management, outfitting hunts, managing a paint store and buying standing timber. Justin spends all or part of every day in the outdoors and very few people are as knowledgeable or as comfortable on the farm or in the woods as he is. Let him put all his skills and knowledge to use for you in your search to find your happy place and let your legacy begin.